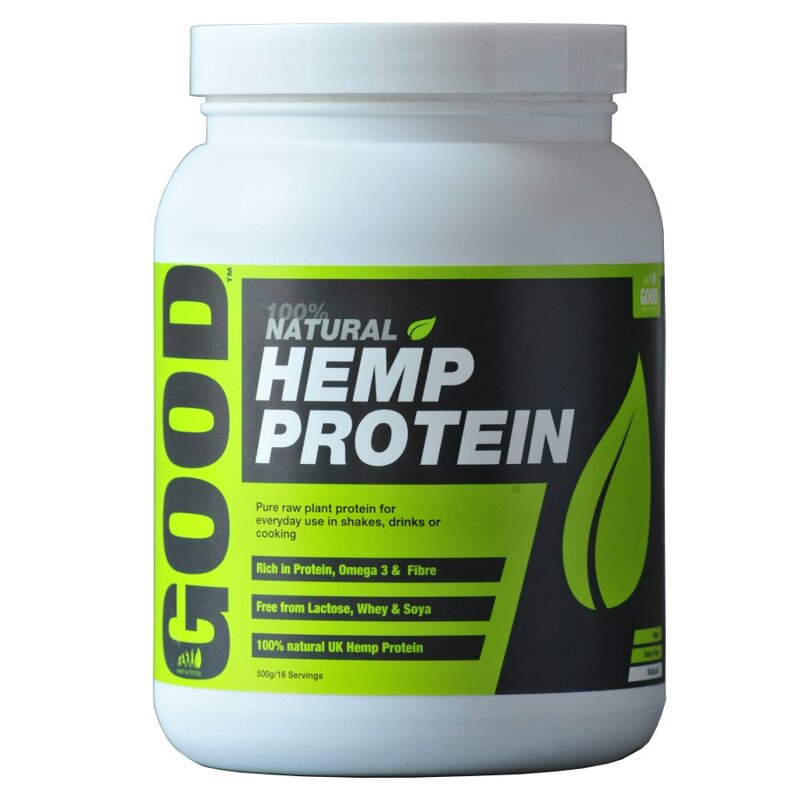 Natural Hemp Protein Powder from GOOD Hemp Nutrition is a rich and complete protein, isolated from raw hemp seeds grown and produced in the UK. This 100% Natural protein powder helps to support a healthy and balanced diet. Rich in Omega-3 (with SDA), fibre and contains all 10 essential Amino acids. Suggested Uses: Take one 30g serving twice a day. (1 scoop = 1 x 30g serving) Use between meals or before and after exercise. Mix 1 Scoop with 250ml water. Can also be mixed with Smoothies, Juices, Yoghurts, Cereals, Soups or Shakes. Scoop included. Also available in a 2.5kg tub. 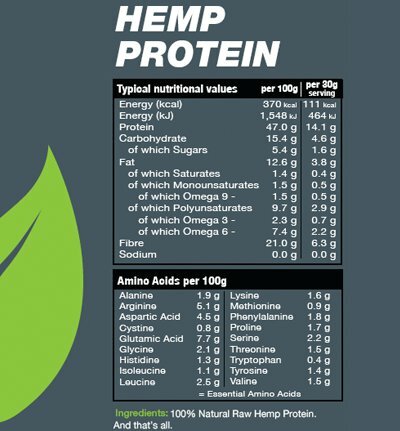 100% Natural, British Hemp Protein Powder. 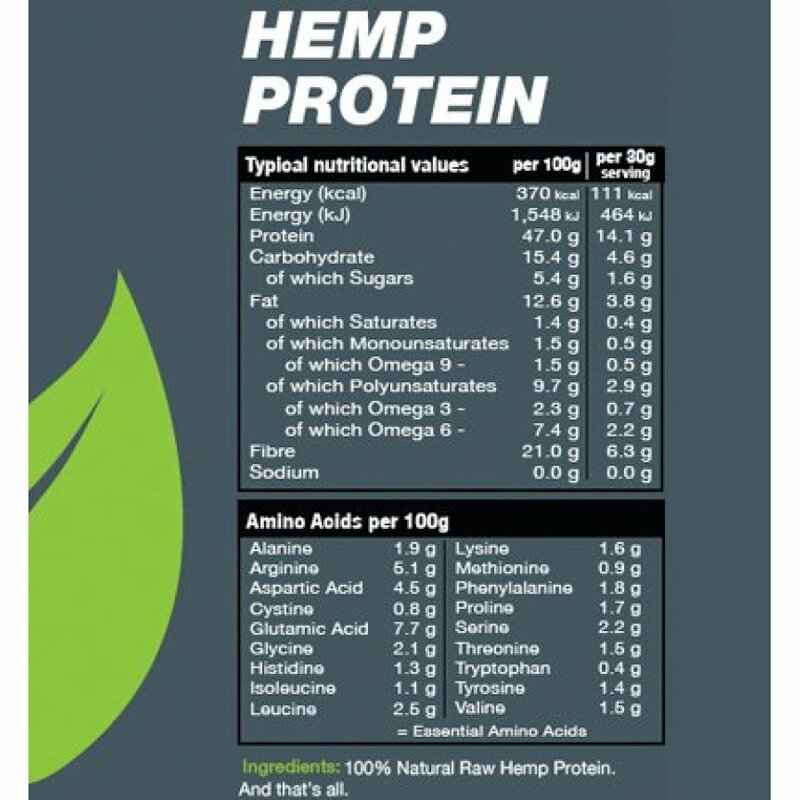 The Hemp Protein Powder - Natural 500g product ethics are indicated below. To learn more about these product ethics and to see related products, follow the links below. 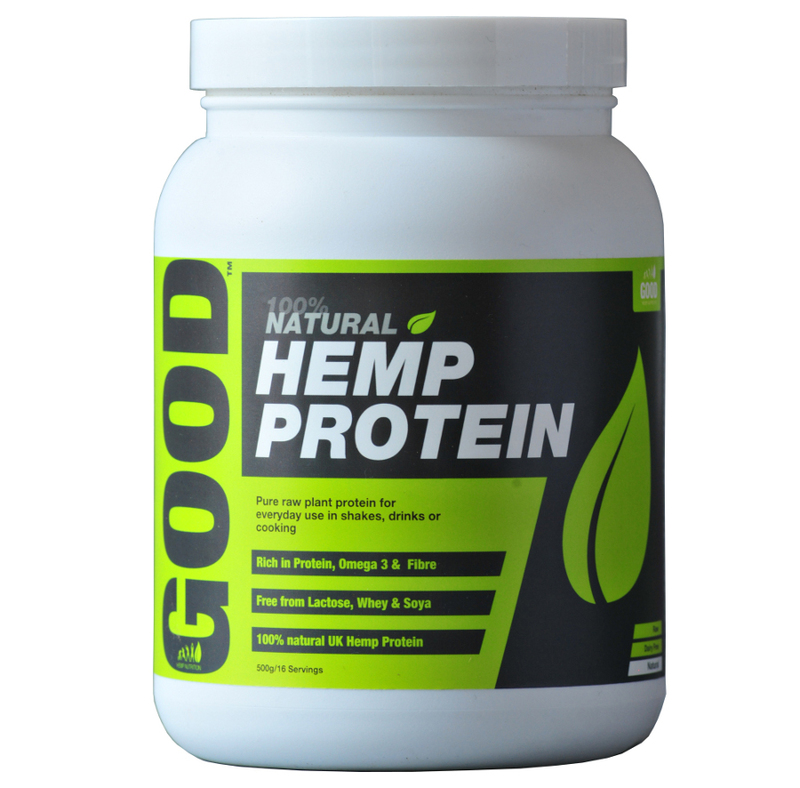 There are currently no questions to display about Hemp Protein Powder - Natural 500g.